As you grow into adulthood you realize the benefit, as well as the pure privilege of sleep. As a child, you couldn’t think of anything worse. Why would you want to sleep when you could be playing? All kids have a serious case of FOMO but we, as grown ups, know that it’s vital that our kiddos get a good amount of snooze time. Your child needs sleep (and lots of it!) to be both happy and healthy. So, let’s explore why your little monster needs to be sleeping at least 9-10 hours in a 24 hour period, and also how you can assist them in getting the most and best sleep. From kid’s furniture to food, from noise levels to activities, there are simple solutions to helping your kids lay and sleep. Cause, its darn hard to sleep when you really don’t want to. There is no doubt when a child becomes tired they turn into the Tasmanian Devil reincarnated. We hear it often, when watching a child fall apart at the seams and landing up in a major tantrum, “Oh, he must be tired.” Well, more than likely he is. And, who is at fault, really? He doesn’t know any better. Ensuring your child gets his quota of sleep is vital for him to function normally. The growth hormone is mostly dispensed during deep sleep. And, we must highlight the two words ‘deep sleep’. It is very important, not only that your child gets enough sleep, but also good sleep. Think about how many hours small babies sleep. It is because they are growing, and a baby that doesn’t sleep enough, will take longer to reach their growth milestones. 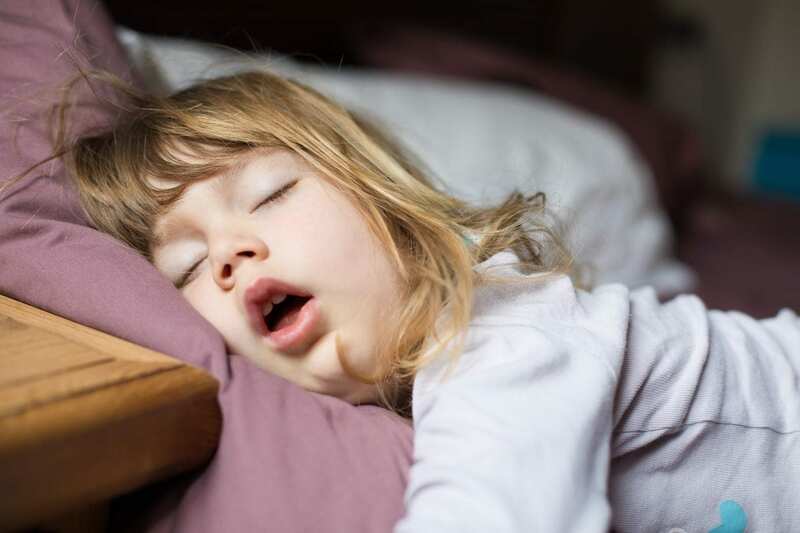 As the child grows older he requires less sleep, and in fact, as they reach adulthood, which is between 18 and 20 years of age, they can do with a vastly lesser amount of zzz’s than they ever did before. The average adult can do with as little as 5-6 hours of sleep in a 24 hour period, however, it is best that they get at least 8, for many reasons, not dissimilar to why kids need sleep. Who’s got a big tummy? The lack of sleep can egg on excessive eating, from infancy to adulthood. Babies can very soon become accustomed to accepting the breast or bottle when they wake, and in fact, many parents are quick to shove the soothsayer into their mouths, in the hopes they will go back to sleep. Babies, toddlers, young children, teenagers, and adults alike, can all learn to fall asleep without the help of food or drink. Encouraging this feed and sleep behaviour can lead to obesity, and its been proven time and time again, especially in the good ole’ US of A. Kids are found, more often than not, staying up late, eating all sorts of terrible foods, than sleeping soundly in their beds. Try implement a healthy diet like banting? How they function during the day is beyond me, and you will find they will resort to eating during the day again to just stay alert and awake. A vicious cycle is then created and one that is hard to break. Sleep is also responsible for healing our bodies, and as a growing child, this is so very vital. Your body produces proteins that assist in warding off viruses and illnesses, and these are secreted at night when sleeping. A survey showed that people, not just kids, who got less sleep than others, in the same age category, were more often ill. Think about when you get a cold, or body flu. Your body is achy and all you want to do is sleep. It is your body’s way of telling you that it needs to rejuvenate itself, and sleep is the way. That’s the key. But prevention is so much better than trying to play catch up with the cure. Your brain needs to be able to reboot every night, so that you can restart the next day, and especially so with kids. Today, our young ones are exposed to so much more than we ever were, and ironically we probably got more sleep than they are now. For them, to function on full tilt, with the load of homework and projects, the extra mural activities and sports, that we insist they take part in, they need to be able to focus. Are our kids getting stupider? Ok, is that even a word? Well, you get my drift. No, they are not. Their IQ levels are actually higher than ever before, but because they are able to tap into more of their brainpower, they need to let the brain cells revitalise themselves and of course produce more. And it is during sleep that this happens. Eating is important, as the nutrients and vitamins we consume help us with body growth, brain growth, and just living a fuller and more vitalized life. However, too much food, and food high in sugar or caffeine, right before bedtime, is a real no-no. A small meal an hour before sleep time, such as milk and a sugar-free cookie, should appease their need. And, most times, they are not hungry, just looking for an excuse to stay up later. Partaking in calm and gentle activities before bedtime will make all the difference, as opposed to crazy, wild games. Make a rule that by a certain time, say 6pm, everyone has to calm down. Reading a book, talking to each other, or even singing a song or two, is a great way to get the body and mind ready for bedtime. All these tips and tricks are fine and well, but if you don’t stick to it on a consistent basis, then it will all be a waste of time. Make it a habit and, while your kids may moan, they will eventually accept it, and thrive. No matter the season, ensure the mattress, bedding and general kids furniture is comfortable and cool. Dress them in loose, cotton, and breathable clothing, making sure that they don’t get all tangled and hot in the bedding. And, what do I have for you here? If you are still struggling to get your buddy or buddess to sleep, then put a reward system in place. Don’t see it as bribery, but rather as an incentive. It may be a treat at the end of the week for going to bed at the appropriate time, or maybe a little trip away once a month. Be creative with this. Kids love getting stuff. On a last note, good sleeping habits now will stand the test of time, and see your child eventually sleeping well in adulthood too. And, we all know how welcoming a good night’s sleep is. Do it for the adult they will become one day. Mother of two beautiful daughters, a dog lover and aspiring writer.